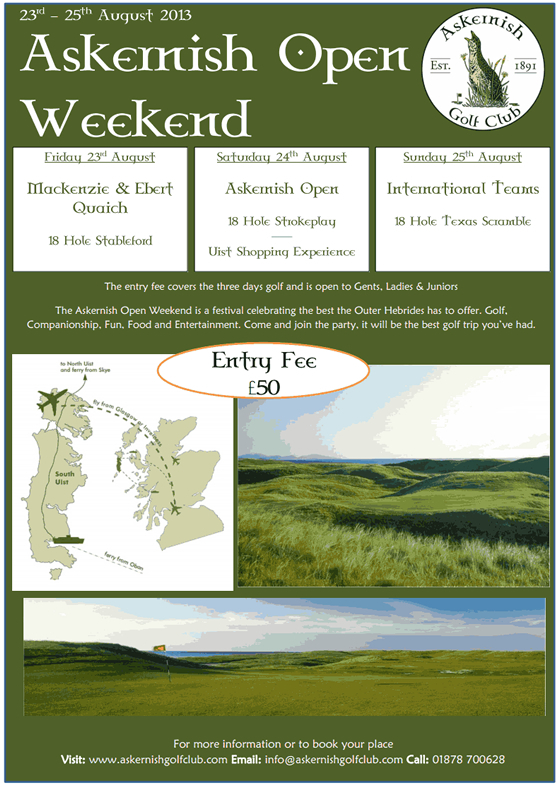 Saturday 24th August - Askernish Open. 18 Hole strokeplay and also the Uist Shopping Experience. Sunday 25th August - International Teams - 18 hole Texas scramble. The Askernish Open Weekend is a festival celebrating the best the Outer Hebrides has to offer. Golf, Companionship, Fun, Food and Entertainment. Come and join the party, it will be the best golf trip you’ve had.